US Soldier using a flamethrower in Vietnam. 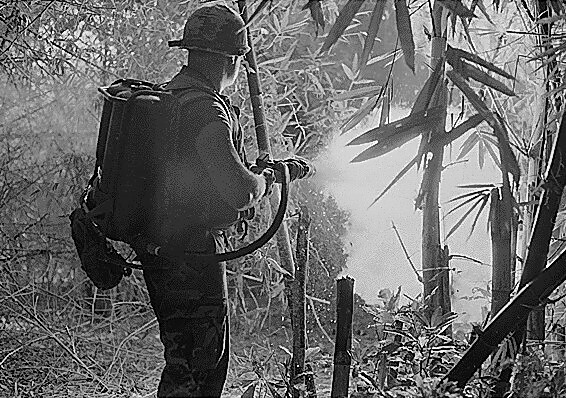 Reports exist which state that the flamethrowers were often used to clear out or destroy “enemy villages”, which implies that they may have been used against civilians as well. Napalm became a psychological weapon, as the enemy was terrified of the hell on earth caused by its use. Later on in the war, the US bombers began to drop napalm bombs, which proved to be far more destructive than the flamethrowers. A napalm bomb could leave an area of 2,500 square yards engulfed in unquenchable fire. Using napalm bombs dropped by a fast moving aircraft didn’t guarantee much accuracy. This resulted in many civilian casualties. Among the US public, napalm became the symbol of all that was abhorrent about the war in Vietnam. The Vietnam war was the first conflict to be widely broadcast on television, though it was well known that the weapon had been used in the Pacific and in Korea, its effects had never before been seen so directly by the public. 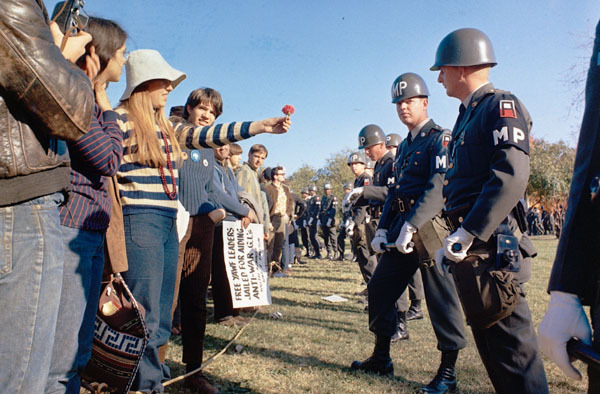 The antiwar movement started to protest against napalm use in 1966, calling for a boycott of the company that produced napalm for the US military ― The Dow Chemical Company. It was not until 1980 that the United Nations Convention on Certain Conventional Weapons (CCWC) declared the use of napalm against concentrations of civilians a war crime. A number of countries did not sign this protocol which entered the canon of international law in 1983. The United States signed up to the Convention approximately 25 years after the General Assembly adopted it, on 21 Jan 2009: President Barack Obama’s first full day in office. Their ratification, however, is subject to a reservation that says it can disregard the treaty at its discretion if doing so would save civilian lives. After the Vietnam War, napalm saw active use in Western Sahara (1975-1991, by Moroccan forces), Iran (1980-1988), Iraq (1980-1988, 1991), Angola (1993), Argentina (1982) and Yugoslavia (1991-1996).